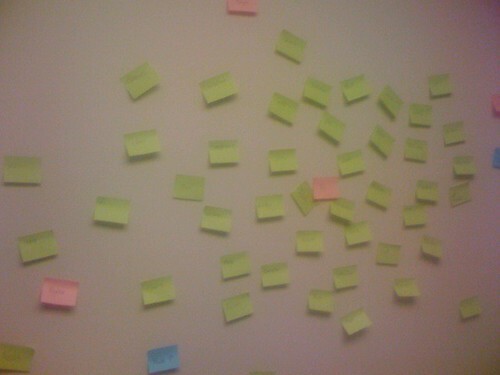 This picture is more than just a bunch of random post-its. Everyone of these post-it’s represent a person a soul that our students are praying for. I took this picture with my iPhone and it was only a portion of the whole wall that was covered with Names.